Love has many sides. Affection, support, connection, joy. When I get to know my couples, I’m able to capture every side of their love, and let their story really shine through in the images we create together. The huge smiles and the soft, sweet way you look at each other. I want to capture it all for you, but first you have to show it to me. Come to your photo shoots and let yourself be seen. Let me capture something real that will be meaningful to you. I put my heart into my work and I love when clients do the same. It really is a beautiful thing to behold and such a gift that I get to be a part of it by capturing it and giving it back to you in a photograph. Great photos dont just happen. It takes planning and preparation. Each of my clients get access to my planning guides that help you plan our shoots and your wedding day to perfection. 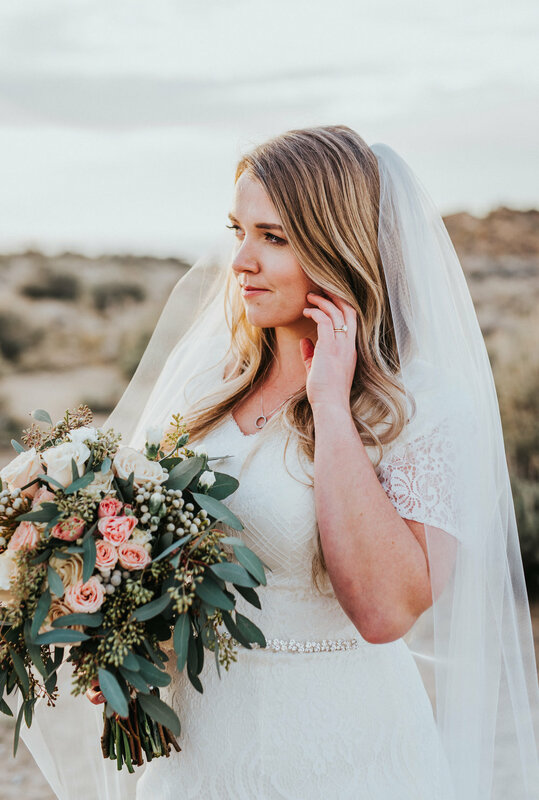 My guides cover topics like how to prep for your shoot, clothing guides, posing preparation, vendor suggestions and suggestions to perfect your wedding day timeline to get all the wedding album worthy photos you’ll be proud to display and cherish forever. Im the pro with all the knowledge on how to flatter your body, get your best angels and make you look fab, but your the one with the affection and emotion that needs to shine through. Both of us need to be ready to rock your photo shoot. I direct my clients while still giving them space to be themselves. I like to keep our poses simple and classic because it allows your relationship be the focus of the photo. Your photos will be romantic, affectionate, joyful and tell the story of your connection. 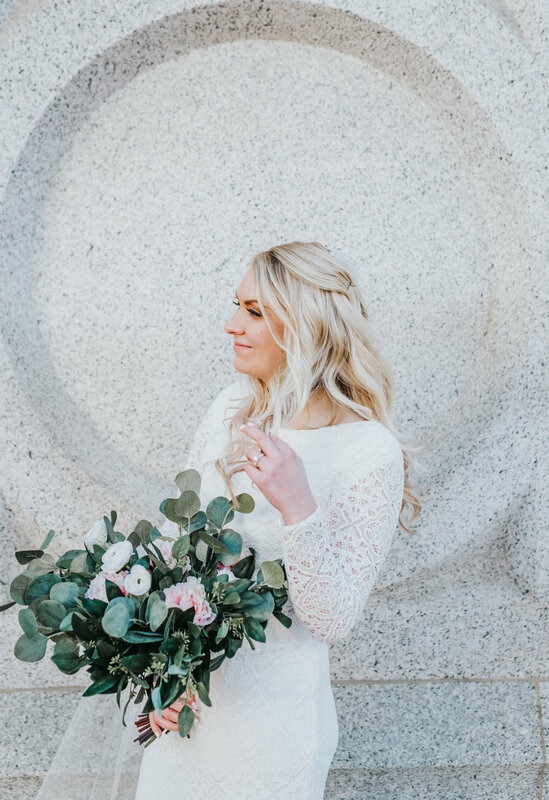 With over 9 years photographing weddings, I know all the tricks of the trade to not only make you look and feel amazing, but to help our shoots and your big day run smoothly! My shoots are known to be FUN and COMFORTABLE and I always show up with a plan for your wedding day to ensure we capture all the magic in a smooth and seamless way. I know you dont want to wait for your photos, and I’m just as excited about your images as you are. I have systems in place to help me be as efficient as possible, which means you will get your images back within 1-2 weeks, often quicker! My speed never comes from rushing, each photo gets the time and attention it deserves. I must be doing something right because the brides that find their ways to me always end up being the most lovely human beings. They are the ones who believe in love and they don’t just profess love, they practice it. The ones who are excited to celebrate with their friends and families. 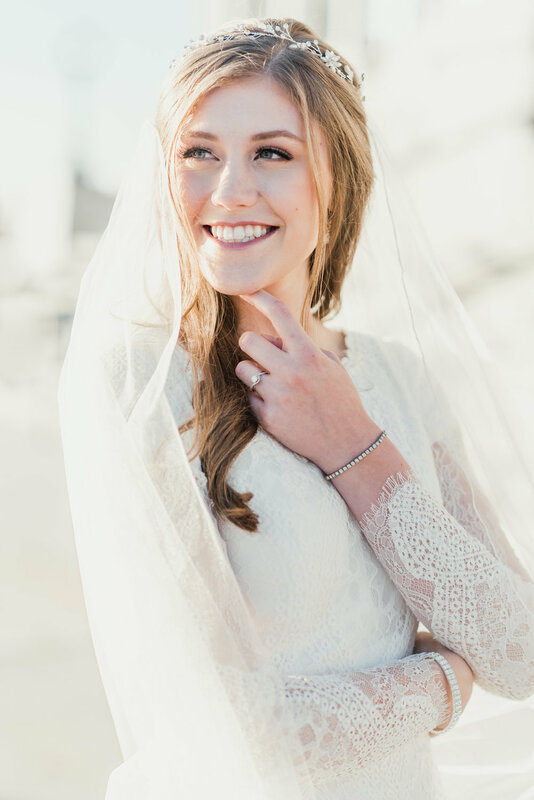 The brides who are excited about getting to develop their bridal style and get all dolled up. The ones who understand the value of a photograph and cant wait to turn moments into memories by letting me capture it with my camera. 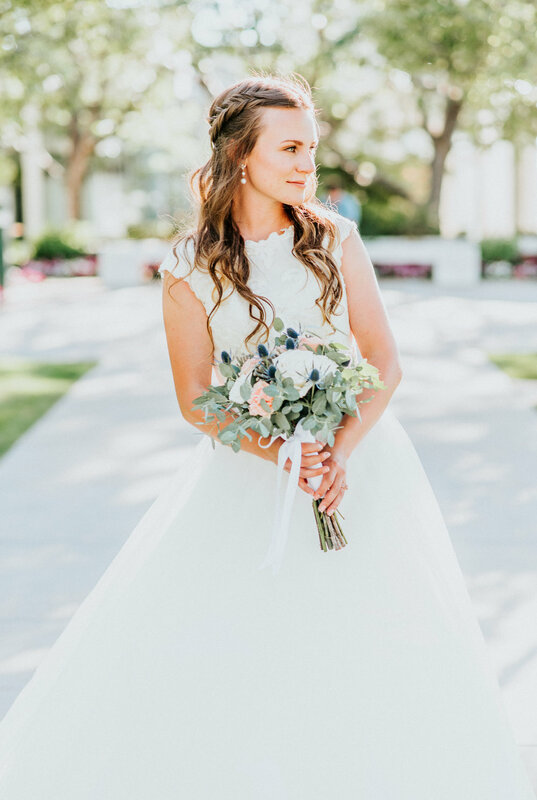 Brides who aren’t interested in just following a trend, because they understand that classic never goes out of style. My kind of bride is the one who lets go of her inhibitions in order to create something real. Who plans and preps for her day so it can all be perfect, but really only cares that at the end of the day, she’s married to her person. 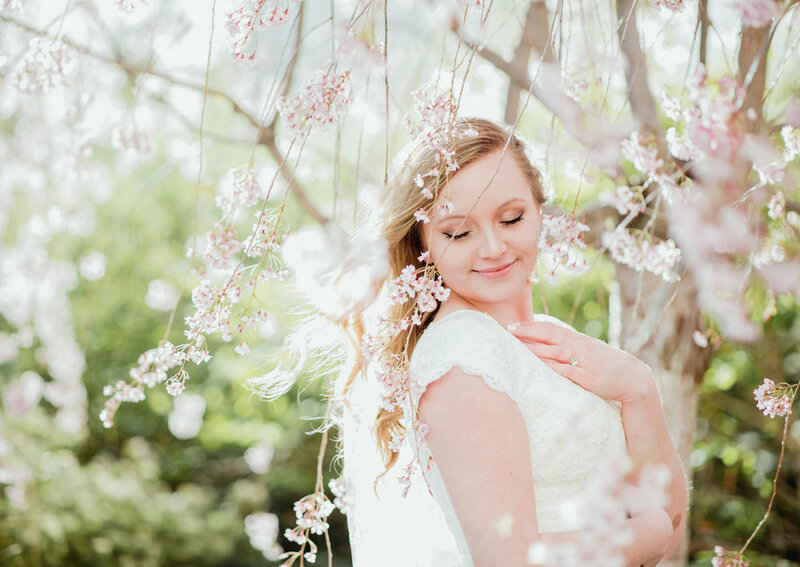 She loves to laugh, doesn’t mind that we may or may not bust into a dance party during her session, and has elegance and sophistication radiating from her. In a word - Joyful. Wedding Day and Elopement packages are loaded up with all the sweet stuff. Please contact me for more detailed pricing info and to discuss your individual needs! For reals, come say hi! I give every image the time and care it needs and never rush through this processes, but with years of experience photographing weddings, I have become very efficient in processing images! Im thrilled to be able to offer an incredibly fast turn around time of under 1 week for your engagement and formal sessions, and 2-3 weeks for your wedding day images! Unlike some other wedding photographers, I don’t limit how many images you will receive. I deliver every image that is worthy of being seen. I will take PLENTY of photos, but part of my job is to curate what you receive. You wont get the 15 photos I take all in a row of you cutting your cake, you don’t need that many! But you will receive every image that I think you will LOVE and that will tell the story story of your day. Engagement and Formal sessions average 75-100 images and 50-75 images per hour of shooting time on the wedding day. To officially book your wedding date I require a $150 non-refundable retainer. $300 will be due at the time of your engagement and formal shoots, and the remaining balance is due 1 week before the wedding day. Acceptable forms of payment are cash, check, paypal or venmo. Do you have a product or service that you offer? Let me know, I might be interested in a full or partial trade! All images will have basic post processing done with our signature editing style. This includes basic color and exposure corrections. We don’t believe in editing your photos to the point of being unrecognizable. We think you should remember your wedding day EXACTLY the way it was. Of course we will be happy to edit away a pimple or two that popped up unexpectedly, but extensive cosmetic touch ups are not included, and honestly, aren’t usually necessary because you will be GLOWING! After I have processed your images, I will deliver high resolution digital files to you via an emailed link to your online gallery where you can download your images! My clients prefer the digital delivery over waiting for a cd or jump drive to be delivered. You don't have to worry about loosing or damaging a cd, or forgetting to take the thumb drive to your moms house to show her the photos! You can share your link with whoever you want! My work has been described as being a joyful and intimate spin on fine art wedding photography. Sometimes fine art photography can feel a little stiff, so I like to make sure my photos have personality! I put work in before your shoot to make sure we have the perfect location and that you feel comfortable and prepped for your shoot! This way, you can relax, be yourself, and just enjoy the shoot! Ill send you my posing crash course to teach you what we are going to be doing, review it with you before we start shooting, and take time to get to know you as a couple so I can really capture YOU. And on the wedding day I will take charge and direct when I need to, and at other times throughout your day ill stay out of the way and simply capture things as they unfold! Want to see more of my work with these gorgeous couples who have trusted me with the biggest day? Click here! 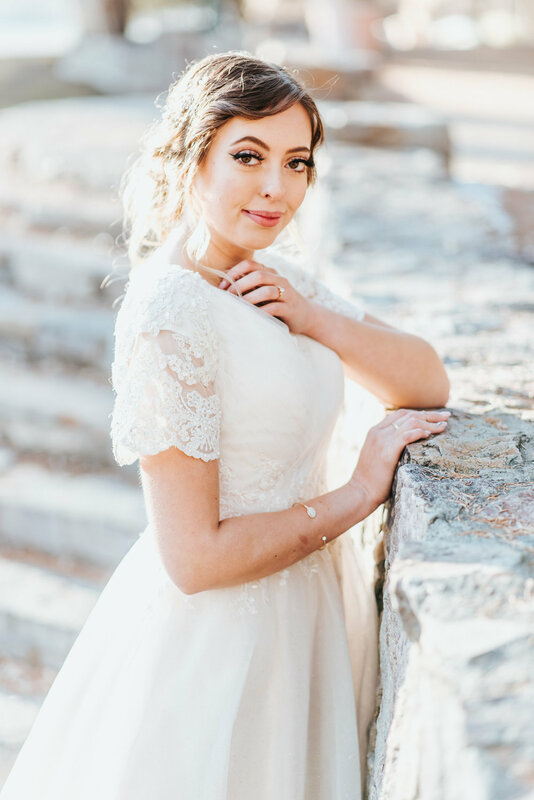 Are you ready to become a Kristi Alyse Bride?